Throop Funeral Home has been serving the communities of Coopersville, Conklin, Lamont, Eastmanville, Marne, Nunica, Allendale, Ravenna and Western Michigan for three generations. The funeral home which began in 1949 by Harlind Throop is in its third generation of service, It was passed to Harlind’s sons, Clark and LeRoy in 1975 and then to Clark’s son, Kenneth in 2008. With Ken’s son Phillip now in mortuary school and graduating in March 2018 we look towards the future and continuing our care for the communities into our fourth generation. 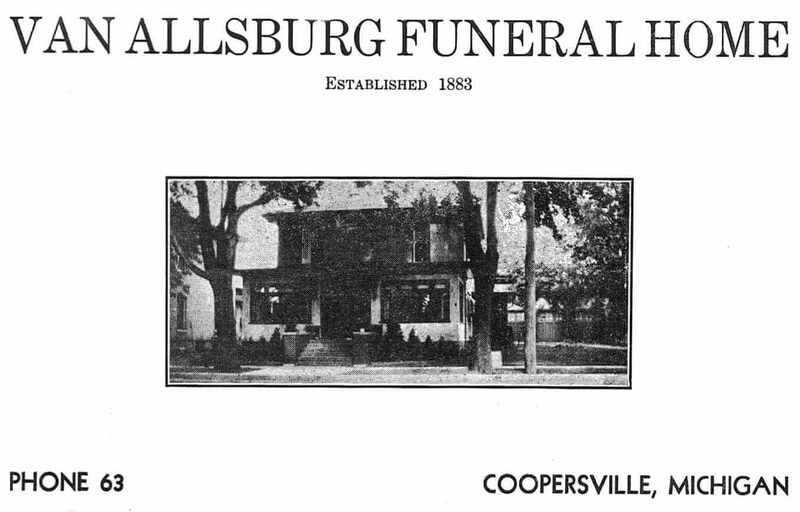 The funeral home was established in 1883 by Arie VanAllsburg as the VanAllsburg Furniture and Undertaking business located on Main St in Coopersville. In 1933 when Arie’s son Louis VanAllsburg took over the day to day operations of the business he moved the funeral home to its present location at 214 Church St. Shortly after the move Louis VanAllsburg sold the funeral business to J.E. 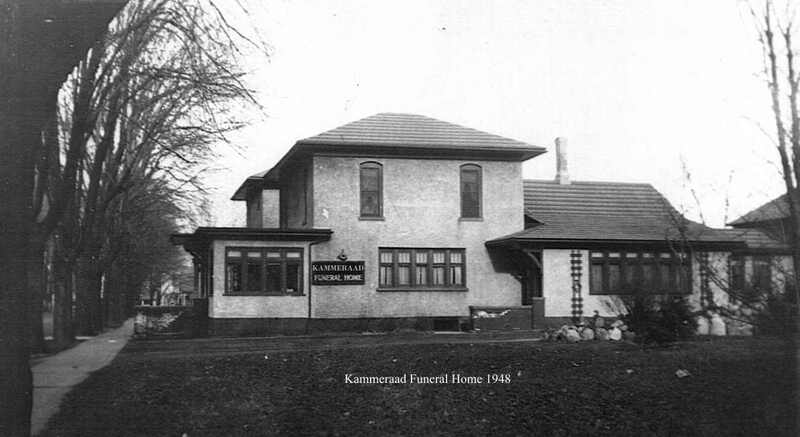 Kammeraad who renamed the business the Kammeraad Funeral Home. Harlind Throop originally from Grant, MI. went to work for Mr. Kammeraad in the early 1940’s after graduating from mortuary school. He assisted Mr. Kammeraad in the day to day operations of the business along with his wife the former Ann VandeVreed of Grand Rapids. Unfortunately for Harlind, Mr. Kammeraad sold the business to Jay Posthumus in the mid 1940’s and Harlind moved his wife and young family to Grandville where he purchased a funeral home. Harlind and Ann’s love for Coopersville and its surrounding communities never left their hearts and in 1949 they had the opportunity to purchase the funeral home from Mr. Posthumus. In 1975 Harlind’s sons Clark and LeRoy took over the day to day operations of the business and in 1984 Clark’s son Kenneth joined them. In 2007 Ken with Clark and LeRoy’s help removed the old funeral home that had gone thru many changes in its 74 years and constructed a new barrier free facility on the same location. 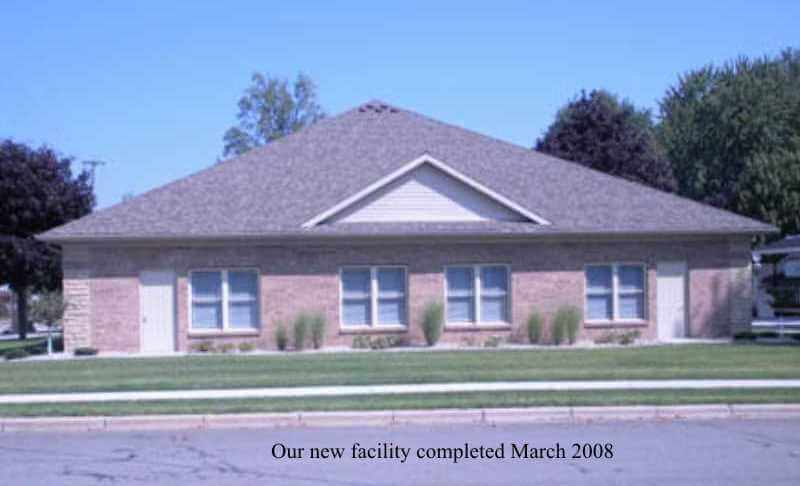 In March of 2008 with the opening of the new facility Ken took over the day to day operations of the funeral home and serving the community.